QNAP Systems, Inc. today launched the Mustang-200 dual-CPU computing accelerator card with 10GbE network connectivity (available with Intel® Core™ i5 / Core™ i7 / Celeron® processors). By installing the card in a compatible QNAP NAS' (or PC's) PCIe slot, users will essentially add two processors to their system for increased computing capabilities to provide a flexible performance boost to their IT infrastructure and applications. "As QNAP NAS evolves to support a wider range of applications, users need more storage space as well as higher computing capabilities for their NAS system. 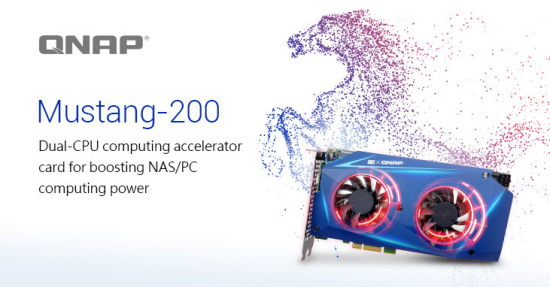 With the Mustang-200 dual-CPU computing accelerator card, users can instantly boost their system’s processing power, which is especially ideal solution for surveillance, virtualization, and AI applications,” said David Tsao, Product Manager of QNAP. 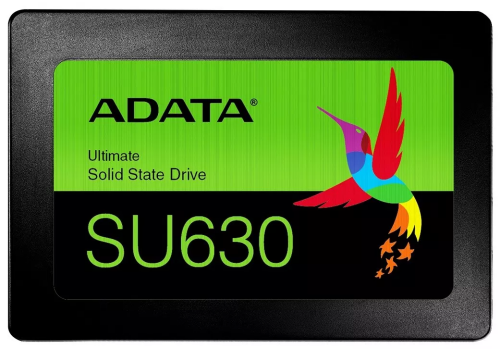 ADATA Technology, a leading manufacturer of high-performance DRAM modules, and mobile accessories today launched the ADATA Ultimate SU630 2.5” SATA 6Gb/s SSD, which signals its expansion into 3D QLC NAND Flash storage. With next-generation QLC (Quad-Level Cell) 3D NAND Flash, the SU630 delivers terrific value, great performance, and superb reliability, offering users a viable alternative to HDDs for their next upgrade. Delivering excellent performance without the less than great value typically associated with SSDs, the SU630 gives HDDs a run for their money. It comes in 240GB, 480GB, and 960GB capacities and sports 3D QLC NAND Flash to deliver improved reliability, longevity, and performance over its TLC counterparts. Reinforced by performance-boosting SLC Caching, the SU630 reaches speeds of 520MB/s read, and 450MB/s writefor smooth and fast boot, file transfers, and downloads. What’s more, the SSD also features characteristics that work to keep data safe, including a shock rating of 1500G/0.5ms and resilience to temperature changes (0°C ~ 70°C), while also being more energy-efficient and quieter than HDDs. In order to satisfy modern consumers’ need for variety in storage devices, TEAMGROUP launches multiple products with their own features. The simple, compact C185 and the C186 with classic design both have elegant and concise case, and the smooth retractable capless design makes it easy for consumers to use. The T183 Tool USB drive is the perfect interpretation of practical concepts. It not only has won the 2018 COMPUTEX d&i award, but also was highly praised by the Taiwan Excellence Awards recently. The T183 Tool USB drive is the first to include practical functions like bottle opener, straight ruler, etc. In addition, it also has high speed storage performance, which makes it both trendy and practical. Constantly innovating in response to the current trend, TEAM GROUP’s new USB drives have sleek ridgeline and smooth streamline design, which creates a trendy and minimalist style. Both USB drives have retractable design that makes it easy for handheld. The special designed structure not only can reduce wear and tear, but also eliminate the trouble of misplacing the cap. Both devices has its own features. The C185 uses USB 2.0 interface and has classic silver characters. The C186 has black base color with premium golden color to emphasize its high quality. 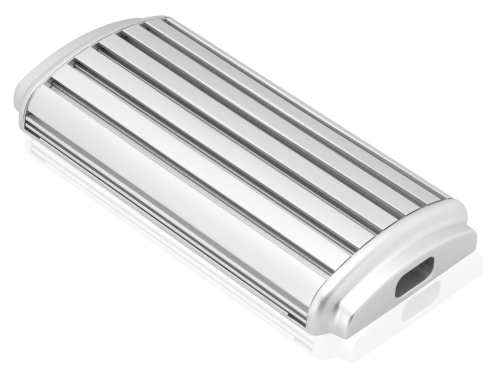 It has USB 3.1 Gen1 interface and up to 128GB of storage capacity to satisfy consumers with different needs. Plug and play makes file sharing and backup easier than ever. 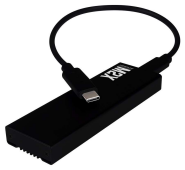 Kingston Digital, Inc., the Flash memory affiliate of Kingston Technology Company, Inc., a world leader in memory products and technology solutions, has added new features to its recent Cyber Defense 2018 Global Awards winning IronKey D300 encrypted USB Flash drive to improve device management and security. IronKey D300 is FIPS 140-2 Level 3 certified and uses 256-bit AES hardware-based encryption in XTS mode. Shipping next week, a new Serialized version (D300S) with two new features will further enhance the drive’s already advanced level of security to safeguard sensitive data. IronKey D300S will have a unique serial number and bar code on the drive itself, allowing network administrators to simply read or scan the code instead of plugging in the drive. When a drive is deployed, returned or during any physical auditing or asset management of hardware, this feature will make the process more efficient and streamlined. The second feature, a virtual keyboard, enables users to enter a password with clicks of the mouse instead of using a physical keyboard, thereby providing a greater level of protection against any possible keylogging when using D300S on other computers. Western Digital Corporation, a data infrastructure leader, today announced it is extending the breadth and depth of its data center portfolio into the rapidly evolving in-memory computing market segment. 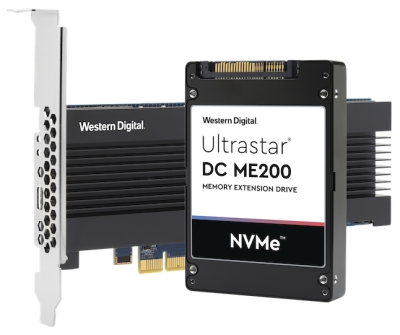 The new Ultrastar DC ME200 Memory Extension Drive is the company’s first product that enables customers to better optimize in-memory system capacity/performance for running demanding applications that drive today’s real-time analytics and business insights. CDRLabs has put together a brief review of MyDigitalSSD's new M2X USB 3.1 Gen 2 M.2 PCIe NVMe SSD enclosure adapter. Thanks to JMicron's JMS583 bridge controller, the M2X gives users the ability to bring NVMe speeds with them on the go by turning any PCIe M.2 SSD into an ultra-portable pocket drive. The enclosure also features a durable lightweight aluminum casing with a grooved heatsink design that combats high heat issues commonly found in small form factor SSDs and ensures peak performance even under heavy use. To top it all off, the M2X offers both USB-C and USB-A connectivity and is fully bus powered. Freecom announces the launch in Europe of the mSSD Celeritas Thunderbolt 3 Drive – the fastest drive of its kind that can transfer files up to 20 times quicker than hard disk drives – making it ideal for video content creators and business and IT professionals where the transfer of large data files at high speed is critical. The new Freecom Celeritas can deliver stunning speeds of up to 2800 MB/s (read) and 2000 MB/s (write). Comparing with other storage devices, transferring 500GB of data to a regular hard disk drive (at 100-150 MB/s) would take over 60 minutes and a regular SSD (at 450–500MB/s) would take around 16 minutes, while saving to the mSSD Celeritas (at 2800 MB/s) would only take approximately 4 minutes. 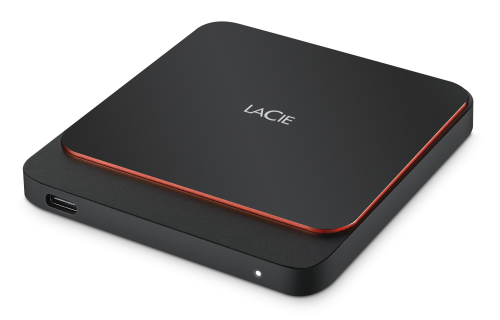 Today, LaCie, the premium brand from Seagate Technology, unveiled the high-performance LaCie Portable SSD storage solution. The compact external solid state drive offers fast and reliable performance featuring USB 3.1 Gen 2 (10Gb/s) technology with USB-C connector for universal compatibility. With maximum sequential read/write speeds of 540/500MB/s, the LaCie Portable SSD is ideal for on-the-go creative professionals looking for uncompromised performance. Available in 2TB, 1TB, or 500GB capacities, this light-weight solution can transfer one hour of 4K 30fps video footage in less than one minute and store up to 65 hours of 4K 30fps video or 20,000 RAW photos (2TB capacity). It is also a great alternative to serve as a scratch disc -- allowing users to edit content directly off the LaCie Portable SSD, freeing up valuable workstation resources or serving as the perfect shuttle drive to quickly transfer files from capture devices on-set back to the studio.